Home » Nikola Tesla–The Man Who Electrified The World!! Nikola Tesla (July 10, 1856–January 7, 1943). In 1884, a poor Serbian immigrant named Nikola Tesla arrived in the United States–at that time the land of the free….Though he was poor in this world’s goods, he was rich in ideas that would eventually light up the United States . . . and the entire world. Wise men still come from the East because this Serb superman was Greek Orthodox and his father was a clergyman. Discover the true genius behind history’s greatest “madmen”. From Dr. Frankenstein to Dr. Jekyll, the image of the mad scientist surrounded by glass vials, copper coils, and electrical apparatus remains a popular fixture. In films and fiction, he’s comically misguided, tragically misunderstood, or pathologically evil. But the origins of this stereotype can be found in the sometimes eccentric real life men and women who challenged our view of the world and broke new scientific frontiers. They Called Me Mad recounts the amazing true stories of such historical luminaries as Archimedes, the calculator of pi and creator of the world’s first death ray; Isaac Newton, the world’s first great scientist and the last great alchemist; Nikola Tesla, who built the precursors of robots, fluorescent lighting, and particle beam weapons before the turn of the twentieth century-and more. While walking in Budapest Park, Hungary, Nikola Tesla had seen a vision of a functioning alternating current (AC) electric induction motor. This was one of the most revolutionary inventions in the entire history of the world. Before coming to the U.S., Nikola worked for about a year for the French branch of the Edison Electric Light Co. The Edison Company was totally locked into DIRECT CURRENT (DC) and wanted nothing to do with Tesla’s AC current. 1. Rotating magnetic field . . . which electrificd the entire world!! 2. Wireless or radio broadcasts. 3. Wireless transmission of electricity to any point on the earth. Tesla did not come to the United States to get rich from his great discovery. He was totally disinterested in money except to finance his invention. His main goal was to share his revolutionary invention with the world and make electricity do the work of mankind. Tesla worked for Thomas Alva Edison for 1 year!! At that time, the most famous “inventor” in the world was named Thomas Alva Edison–the so-called wizard of Menlo Park….Edison was credited with the invention of the DC dynamo and the electric light bulb . . . but the only thing he really invented was the ELECTRIC CHAIR!! Edison was locked into direct current and would not change for anything. DC had very severe limitations, and was not practicable for long distance electrical transmission. Almost immediately after entering the U.S., Tesla went to work for Thomas Alva Edison. The “Alva” in Edison”s name came from the ruthless Spanish Duke of Alba. Edison was clueless about the great benefits of AC until Tesla showed him plans for his induction motor. Edison’s DC system was huge and only good for very short distances. Edison and his boss J.P. Morgan completely rejected this revolutionary invention. Edison set him to work fixing the many problems with DC dynamos. Tesla had remarkable mechanical and electrical ability, and Edison promised him $50,000 if he could fix a particularly perplexing problem with a dynamo. For a paltry few thousand dollars they lost not only a man who would have saved them many times that amount each year, but they also lost an opportunity to obtain world control of the greatest and most profitable electrical invention ever made (O’ Neill, Prodigal Genius, p. 58). After quitting the Edison Company, Tesla had to work as a manual laborer for a year digging the streets of New York to lay Edison’s cables. This was the worst time in his life as a poor stranger in a strange land….He was befriended by the foreman of the work gang who persuaded him to form his own company. George Westinghouse brought Tesla’s polyphase system to the world!! In spite of all the advantages of the AC system, Edison refused to acknowledge its superiority over his system, and inventor George Westinghouse of Pittsburgh came to his rescue. As a matter of fact, Edison and his boss Morgan sulked like spoilt children, and started what became known in U.S. history as the War of the Currents, or the battles between AC and DC. By 1886, the Westinghouse Company was one of the biggest and most successful in the entire world. Westinghouse was a Protestant Christian gentleman and totally unlike the robber barons of that era….His motto was the golden rule, and his employees shared in the success of his company. He believed in doing his good works in secret, and many charities throughout the country were helped by his largess. He offered to buy all the AC patents from Tesla for the staggering sum of 1 million dollars cash and royalties of $1.00 per horsepower of electricity produced. George Westinghouse was already world famous as the inventor of the locomotive air brake. His decision to adopt Tesla’s AC system changed the world forever. So favorably impressed was Westinghouse that he decided to act quickly. The story was related to the author by Tesla. “If you will make the royalty one dollar per horsepower, I will accept the offer,” Tesla replied. “A million cash, a dollar a horsepower royalty,” Westinghouse repeated. “That is acceptable,” said Tesla. Here was a case of two great men, each possessed with the power of seeing visions of the future on a gigantic panorama, and each with complete faith in the other, arranging a tremendous transaction with utter disregard of details. (O’Neill, Prodigal Genius, pp. 74-75). The decision to give the world alternating current put George Westinghouse on a collision course with Morgan and Edison. The War of the Currents almost bankrupted the Westinghouse Company!! The War of the Current pitted Morgan and Edison against Westinghouse and Tesla. No dirty trick was beneath them to ruin Westinghouse and Tesla. The War of the Currents lasted from 1885 to 1912. Edison electrocuted thousands of animals to prove that AC was killer current. Edison’s only invention was the electric chair. One of the requirements was that Westinghouse get rid of the contract with Tesla calling for royalty payments of $1.00 per horsepower on all alternating current articles sold under his patents. Financial advisers pointed out that if the business which Westinghouse expected the company would do under the Tesla patents in the ensuing year was anywhere near as great as estimated, the amount to be paid out under this contract would be tremendous, totaling millions of dollars; and this, at the time of reorganization, appeared a dangerous burden, imperiling the ability which they were trying to attain for the new organization. Westinghouse strenuously objected to the procedure. This patent-royalty payment, he insisted, was in accordance with usual procedures and would not be a burden on the company, as it was included in costs of production, was paid for by the customers, and did not come out of the company’s earnings. Westinghouse, himself an inventor of first magnitude, had a strong sense of justice in his dealings with inventors. (O’Neill, Prodigal Genius, p. 79). By cheating him out of millions in royalty payments, Morgan and Rockefeller put a financial squeeze on the great inventor. Tesla had already lost a fortune because of the arson to his laboratory, and now he was severely strapped for cash to perfect his latest inventions. The arsonists could squeeze him financially, but they could NEVER stop the Niagara of new inventions that kept flowing from his fertile brain. In 1895, the Westinghouse Company and Nicola Tesla built the first hydroelectric alternating current system at Niagara Falls. Tesla was determined that the awesome power of the Falls should be harnessed to the awesome power of polyphase alternating current. Without using a single drawing, Tesla was able to work out the whole plan of electrification in his head. Everything worked perfectly the first time. Everyone was delighted with the results but Tesla was determined on transmitting electricity without cumbersome and unsightly wires. In 1899, in Pike’s Peak, Colorado, Tesla demonstrated the feasibility of transmitting electricity through the earth without the use of wires….He chose Pike’s Peak because of its remote location, and the availability of electricity from a local power station. Wireless transmission of electricity to all parts of the earth was the main objective of Tesla in the famous Pike’s Peak experiment. He also discovered that tremendously destructive forces could be unleashed in the earth by means of uncontrolled electrical resonance. Tesla discovered that the earth was a very good conductor of electricity and that he could set the earth in electrical oscillation just like the mechanical oscillation that almost caused an earthquake in Manhattan. Power was supplied to the primary coil by the local power station. The secondary coil was GROUNDED to the earth, producing waves which traveled to the opposite side of the world. The returning waves were discharged through the atmosphere. Here is an artist’s rendition of Tesla’s wireless world power and data system. From the Electrical Experimenter, February 1919. Construction began immediately on Tesla’s Wardenclyffe Tower on Long Island, New York. It was never finished and the project literally bankrupted Tesla. When Tesla had demonstrated the feasibility of his wireless power system, he rushed back to New York to begin construction on a transmitter located at Wardenclyffe, Long Island, New York. Morgan stonewalled him and created a panic on Wall St. in 1907. Millionaire John Jacob Astor, Tesla’s close friend and financier, died on the Titanic in 1912. British spy Marconi is credited with the discovery of radio!! At the start of 1900, Tesla was just brimming with optimism that he would give the world wireless transmission of electricity and data. Unfortunately, that was not to be the case. Tesla was virtually broke from losing his royalties on his AC patents and he had to approach his arch enemy J.P. Morgan for funding. Morgan made inquiries of Tesla concerning his financial structure. There were, in those days, a limited number of strong financial groups who were playing a terrestrial game of chess with the world’s economic resources; the discoveries of a genius like Tesla might well have a profound effect on the destinies of one or more of these groups, and it would be well for an operator in this field to know more of the inventor’s commitments. Undoubtedly, it was a source of surprise and satisfaction to Morgan when he learned that Tesla was a lone operator and now entirely without funds needed to carry on his researches. (O’Neill, Prodigal Genius, p. 197). 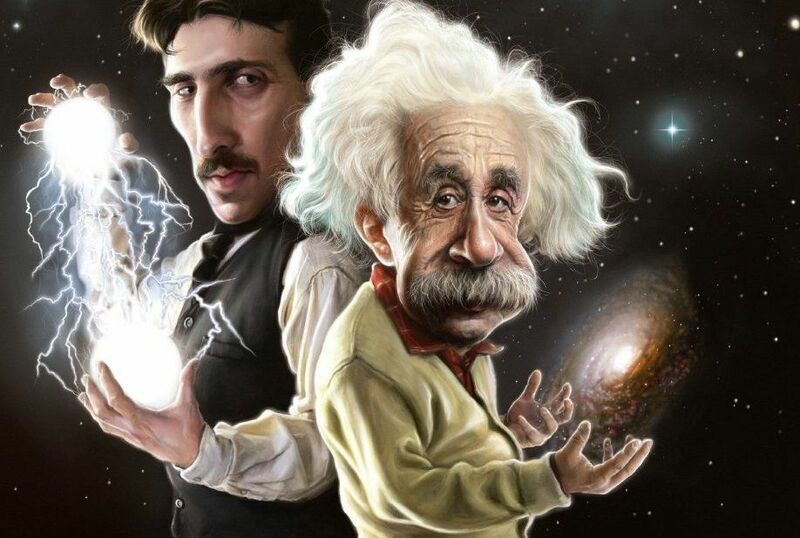 Most of the great electrical inventions of the 20th century were the work of Nikola Tesla. British spy Guglielmo Marconi was used by Morgan to “discover” radio transmission.Marconi’s company was called the British Marconi Company and was financed by J.P. Morgan.After Tesla’s death, the Supreme Court did grant him priority for the discovery of radio transmission. Morgan and his backers at the Bank of England realized the deadly military implication of using electricity as a weather weapon. Tesla even mentioned the possibility of using electricity to bring rainfall of desert areas of the planet. A weather weapon is the most diabolicaly clever of all methods of warfare because no nation can prove that it is under attack. Tesla’s financier John Jacob Astor was drowned with the Titanic!! Col. John Jacob Astor, owner of the Waldorf Astoria, held his famous dining-room guest in the highest esteem as a personal friend, and kept in close touch with the progress of his investigations. When he heard that his researches were being halted through lack of funds, he made available to Tesla the $30,000 he needed in order to take advantage of Curtis’ offer and build a temporary plant at Colorado Springs. Tesla arrived in Colorado in May, 1899, bringing with him some of his laboratory workers, and accompanied by an engineering associate, Fritz Lowenstein. (O’Neill, Prodigal Genius, p. 176). Morgan’s modus operandi was very simple: lure : John Jacob Astor aboard the Titanic and sink her in the middle of the Atlantic Ocean. The White Star line was owned by J. P. Morgan. At the last moment, Morgan decided not to sail on his ship….Madeleine survived, and according to John Jacob Astor’s will, Madeleine would have received income from a $5,000,000 trust fund as long as she did not remarry. All of Tesla’s papers were confiscated by the FBI after his death!! As Tesla approached his final years, most of his close friends and benefactors were dead. The man who had electrified the planet was almost forgotten by the world….Most of his last days were spent feeding the pigeons in Bryant Park, in front of the public library on Fifth Ave. The great discoverer went to meet the Creator of electricity on Jan. 7, 1943. Funeral services were held for the great Serb on Jan. 12, 1943, at the Cathedral of St. John the Divine. Tesla was a U.S. citizen, and of the Orthodox Faith, but his body was cremated, and his ashes sent back to Yugoslavia, where they are on display in an urn in the Tesla museum. Pagan cremation is forbidden by the Orthodox Church!! The Washington Bureau of the FBI went so far as to advise the New York Bureau “to discreetly take the matter up with the State’s Attorney in New York City with the view to possibly taking Kosanovich into custody on a burglary charge and obtaining the various papers which Kosanovich is reported to have taken from Tesla’s safe.” New York was also told to contact the Surrogate Court so stops could be placed against all of Tesla’s effects, so that no one could enter them without an FBI agent being present, and New York was to keep Washington advised of all developments. (Cheney, Tesla: Man out of Time, p. 273). The FBI is a clone of MI5 and responsible for domestic spying and they work closely with their counterparts in Britain. Most of his great inventions like radar were later developed by the British. His death ray is now used by the Pentagon to shoot down Russian rockets!! Garbedian, Gordon H. George Westinghouse: Fabulous Inventor. Dodd, Mead & Co., New York, 1943. Jones, Jill, Empires of Light. Edison,Tesla, Westinghouse and the Race to Electrify the World. Random House, New York, 2003. O’ Neill, John J. Prodigal Genius. The Life of Nikola Tesla. Ives Washburn, New York, 1944.